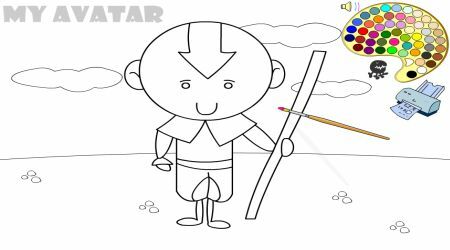 Use the paint brush to give color to Aang. 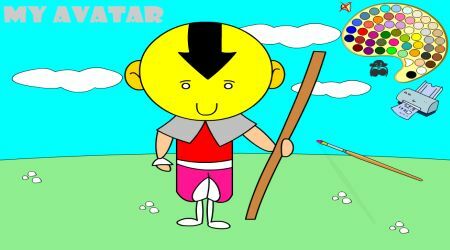 Click on the color that you want to use then click again on the area where you want to put it. After you are finished, you can click on the printer icon to print your work.